For many hunters, spring brings the unmistakable sound of gobbling wild turkeys as Ohio’s annual hunt of this popular game bird begins. The youth wild turkey season will occur on Saturday and Sunday, April 21-22, according to the Ohio Department of Natural Resources. The state is divided into two zones for spring turkey hunting: a south zone, which opens to hunters on Monday, April 23, and a northeast zone, which opens to hunters on Monday, April 30. Hunters can view the 2018 spring turkey season zone map at www.wildohio.gov. The ODNR Division of Wildlife anticipates approximately 65,000 licensed hunters, not counting exempt landowners hunting on their own property, will enjoy Ohio’s popular spring wild turkey season before it ends on Sunday, May 20, in the south zone, and Sunday, May 27, in the northeast zone. The spring and youth turkey seasons are open statewide with the exception of Lake La Su An Wildlife Area in Williams County, which requires a special hunting permit. All hunters are required to have a hunting license and a spring turkey hunting permit. Non-residents should be aware that the non-resident hunting license and spring turkey permit prices have changed for 2018. The spring season bag limit is two bearded turkeys. Hunters can harvest one bearded turkey per day, and a second spring turkey permit can be purchased at any time throughout the spring turkey season. Turkeys must be checked no later than 11:30 p.m. the day of harvest. All hunters must report their turkey harvest using the automated game-check system, which is available online, by phone or at a license agent. A complete list of participating license agents can be found at wildohio.gov. Visit the Turkey Hunting Resources page at wildohio.gov or call 800-WILDLIFE (945-3543) for more information about the game-check process. The youth-only turkey season is April 21-22 for youth possessing a valid youth hunting license and a turkey permit. Youth hunters must be accompanied by a non-hunting adult, 18 years of age or older. Only two wild turkeys may be checked by a youth hunter during the two-day season. Additionally, if two turkeys are harvested in the youth season, no additional birds may be taken by the youth hunter for the duration of the spring turkey season. Hunting hours are 30 minutes before sunrise until noon from April 23-May 6 in the south zone and April 30-May 13 in the northeast zone. Hunting hours are 30 minutes before sunrise to sunset from May 7-20 in the south zone and May 14-27 in the northeast zone. Hunting hours during the two-day youth season are 30 minutes before sunrise to sunset. Hunters may use shotguns or archery equipment to hunt wild turkeys. It is unlawful to hunt turkeys using bait, live decoys or electronic calling devices or to shoot a wild turkey while it is in a tree. The ODNR Division of Wildlife advises turkey hunters wear hunter orange clothing when entering, leaving or moving through hunting areas in order to remain visible to others. Wild turkeys were extirpated in Ohio by 1904 and were reintroduced in the 1950s by the ODNR Division of Wildlife. Ohio’s first modern-day wild turkey season opened in 1966 in nine counties, and hunters checked 12 birds. The wild turkey harvest topped 1,000 for the first time in 1984. Spring turkey hunting opened statewide in 2000, and Ohio hunters checked more than 20,000 wild turkeys for the first time that year. • Ohio is known for its world-class fishing, and on May 5-6, anglers are invited to take part in the annual free fishing weekend, according to the ODNR. Ohio’s Free Fishing Days are open to all Ohio residents and extend to all of Ohio’s public waters, including Lake Erie and the Ohio River. This is the only weekend all year that does not require anyone 16-years-old or older to obtain a fishing license. The ODNR Division of Wildlife’s six fish hatcheries stocked more than 66 million sport fish in public waters in 2017, including walleye, saugeye, steelhead, rainbow trout, brown trout, muskellunge, channel catfish, blue catfish and hybrid striped bass, which will provide opportunities for more than 1.3 million Ohio anglers. Ohio State Parks is also offering a camping discount during Ohio’s Free Fishing Days. Campers can receive a 20 percent off discount May 4-6 by using the promotion code 18ANGLER. The Free Fishing Days weekend offers Ohioans of all ages the chance to experience the fun of catching a fish. Here are some helpful tips for taking a youngster out fishing: Keep the trip simple by considering a child’s age and skill level. Choose a pond, lake or stream where children will be able to easily catch a few fish. A spin-cast reel is usually the easiest for kids to use. Bring a camera and snacks.Be patient – plan on spending time untangling lines, baiting hooks, landing fish and taking pictures.Most of all, have fun. Anglers 16 years and older are required to have a valid fishing license to take fish, frogs or turtles from Ohio waters when not fishing on Ohio’s free fishing weekend. An Ohio resident fishing license is only $19 a year for residents. Fishing licenses are available at participating agents and wildohio.gov. Until next time, Good Hunting and Good Fishing! 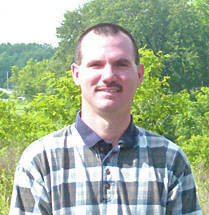 Ken Parrott is an Agricultural Science teacher with Northmor High School.